The manner and extent to which normal aging affects the ability to speak are not fully understood. While age-related changes in voice fundamental frequency and intensity have been documented, changes affecting the planning and articulation of speech are less well understood. 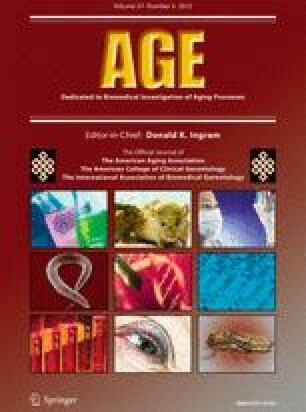 In the present study, 76 healthy, cognitively normal participants aged between 18 and 93 years old were asked to produce auditorily and visually triggered sequences of finely controlled movements (speech, oro-facial, and manual movement). These sequences of movements were either (1) simple, in which at least two of the three movements were the same, or (2) complex, in which three different movements were produced. For each of the resulting experimental condition, accuracy was calculated. The results show that, for speech and oro-facial movements, accuracy declined as a function of age and complexity. For these movements, the negative effect of complexity on performance accuracy increased with age. No aging or complexity effects were found for the manual movements on accuracy, but a significant slowing of movement was found, particularly for the complex sequences. These results demonstrate that there is a significant deterioration of fine motor control in normal aging across different response modalities. This work was supported by grants from the Fonds Québécois de le Recherche – Société et Culture (FRQ-SC) and from the Fonds Québécois de le Recherche – Santé (FRQ-S) to P.T. and by a start-up grant from the Institut Universitaire en Santé Mentale de Québec (IUSMQ) to P.T. These sponsors played no role in the design, execution, analysis, and interpretation of data, or writing of the study. We thank Isabelle Deschamps for her comments on previous versions of this manuscript.